Tehran ( ) (Persian: ?) is the capital of Iran and Tehran Province. With a population of around 8.3 million and surpassing 12 million in the wider metropolitan area, Tehran is Irans largest city and urban area, and the largest city in Western Asia. Until 1796, Tehran was an unimportant village. In 1796, Agha Mohammed Khan chose Tehran as Irans new capital. Throughout Irans history, the capital has been moved many times, Tehran is the 32nd national capital of Iran. In pre-Islamic times, part of the area of present-day Tehran was occupied by Rey (which in the Avesta occurs in the form of Rhaga), now a part of the city of Tehran, which took over its role after the destruction of Rey by the Mongols in the early 13th century. In the 20th and 21st centuries, Tehran has been the subject of mass migration of people from all over Iran. The city is home to many historic mosques as well as several churches, synagogues and Zoroastrian fire temples. However, modern structures, notably Azadi Tower and the Milad Tower, have come to symbolize the city. 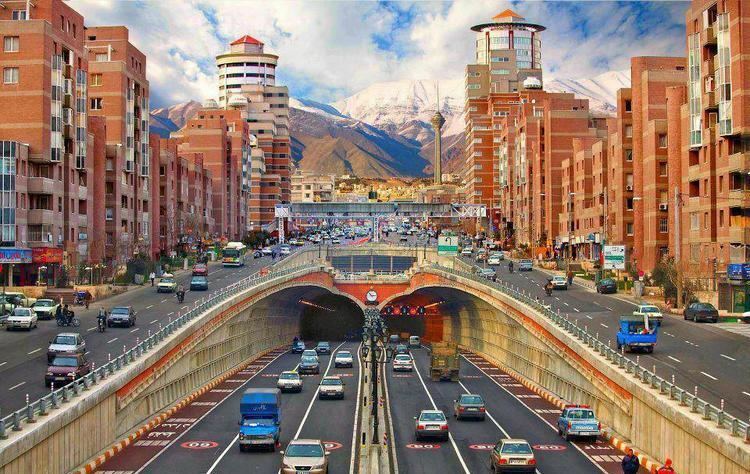 Tehran is ranked 29th in the world by the population of its metropolitan area. Although a variety of unofficial languages are spoken, roughly 99% of the population understand and speak Persian. There are plans to relocate Irans capital from Tehran to another area because Tehran is prone to earthquakes. The majority of the inhabitants of the city are Persians, but there are also populations of other Iranian ethnicities such as Lurs, Kurds, and Azeri Turks who speak Persian as of their second language. The majority of people in Tehran identify themselves as Persians. Tehran has been hosting communities for over 7,000 years. An important historical city in the area of modern-day Tehran, now absorbed by it, is known as "Rey", which is etymologically connected to the Old Persian and Avestan "Rhages". The city was a major area of the Iranian speaking Medes and Achaemenids. In the Zoroastrian Avestas Videvdad (i, 15), Rhaga is mentioned as the twelfth sacred place created by Ahura-Mazda. In the Old Persian inscriptions (Behistun 2, 10–18), Rhaga appears as a province. From Rhaga, Darius the Great sent reinforcements to his father Hystaspes (Vishtaspa), who was putting down the rebellion in Parthia (Behistun 3, 1–10). The Damavand mountain located near the city also appears in the Shahnameh as the place where Freydun bounds the dragon-fiend Zahak. Damavand is important in Persian mythological and legendary events. Kyumars, the Zoroastrian prototype of human beings and the first king in the Shahnameh, was said to have resided in Damavand. In these legends, the foundation of the city of Damavand was attributed to him. Arash the Archer, who sacrificed his body by giving all his strength to the arrow that demarcated Iran and Turan, shot his arrow from Mount Damavand. This Persian legend was celebrated every year in the Tiregan festival. A popular feast is reported to have been held in the city of Damavand on 7 Shawwal 1230, or in Gregorian calendar, 31 August 1815. During the alleged feast the people celebrated the anniversary of Zahaks death. In the Zoroastrian legends, the tyrant Zahak is to finally be killed by the Iranian hero Garshasp before the final days. In some Middle Persian texts, Rey is given as the birthplace of Zoroaster, although modern historians generally place the birth of Zoroaster in Khorasan. In one Persian tradition, the legendary king Manuchehr was also born in Damavand. During the Sassanid era, Yazdegerd III in 641 issued from Rey his last appeal to the nation before fleeing to Khorasan. Rey was the fief of the Parthian Mihran family, and Siyavakhsh, the son of Mihran the son of Bahram Chobin, resisted the Muslim Invasion. Because of this resistance, when the Arabs captured Rey, they ordered the town to be destroyed and ordered Farrukhzad to rebuild the town. There is also a temple in Ray, which is said to be one of the temples of Anahita, the Iranian goddess of waters. But after the Muslim invasion, it got dedicated to Bibi Shahr Banou, eldest daughter of Yazdegerd III, and one of the wives of Husayn ibn Ali, the fourth leader of Shia faith. In the 10th century, Rey was described in details in the work of Islamic geographers. 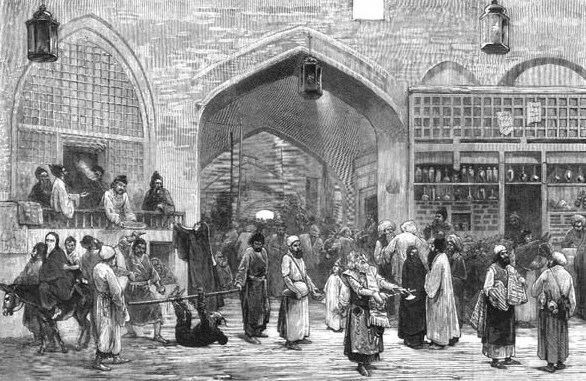 Despite the interest of Baghdad displayed in Rey, the number of Arabs there was insignificant, and the population consisted of Persians of all classes. The Oghuz Turks laid Rey to waste in 1035 and in 1042, but the city recovered during the Seljuq dynasty and Khwarazmian era. The Mongols laid Rey to complete waste and according to Islamic historians of the era, virtually all of its inhabitants were massacred. The city is mentioned in later Safavid chronicles as an unimportant city. The origin of the name "Tehran" is unknown. Tehran was well known as a village in the 9th century, but was less well-known than the city of Rey which was flourishing nearby in the early era. Najm ol Din Razi, known as Daya, gives the population of Rey as 500,000 before the Mongol invasion. In the 13th century, following the destruction of Rey by Mongols, many of its inhabitants escaped to Tehran. In some sources of the early era, the city is mentioned as "Rhages Tehran". The city is later mentioned in Hamdollah Mostowfis Nozhat ol Qolub (written in 1340) as a famous village. Don Ruy González de Clavijo, a Castilian ambassador, was probably the first European to visit Tehran, stopping in July 1404, while on a journey to Samarkand (now in Uzbekistan), the capital of Timur, who ruled Iran at the time. At that time, the city of Tehran was unwalled. In the early 18th century, Karim Khan of Zand dynasty ordered a palace and a government office to be built in Tehran, possibly to declare the city his capital, but later moved his government to Shiraz. 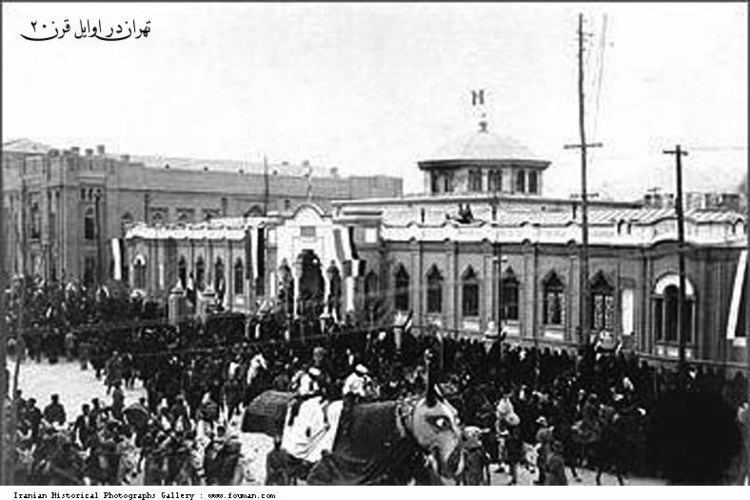 Once again, in 1795, Tehran became the capital of Iran, when the Qajar king Agha Mohammad Khan was crowned in the city. Tehran is the economic center of Iran. About 30% of Irans public-sector workforce and 45% of large industrial firms are located in the city and almost half of these workers are employed by the government. Most of the remainder of workers are factory workers, shopkeepers, laborers, and transport workers. Tehran, as Irans showcase and capital city, has a wealth of cultural attractions. The Sun Throne (also known as the Peacock Throne) of the Persian Kings (Shahs) can be found in Golestan Palace. Some well-known museums are National Museum of Iran, Sadabad Palaces Complex, Glassware and Ceramics Museum of Iran, The Carpet Museum of Iran, Tehrans Underglass painting Museum, Niavaran Palace Complex, and Safir Office Machines Museum. The Tehran Museum of Contemporary Art features works of famous artists such as Van Gogh, Pablo Picasso and Andy Warhol. The collection of these paintings was selected by former Empress Farah Diba. Tehran is also home to the Iranian Imperial Crown Jewels, also called the Imperial Crown Jewels of Persia, it is claimed to be the largest, most dazzling and valuable jewel collection in the world. The collection comprises a set of crowns and thrones, some 30 tiaras, numerous aigrettes, jewel-studded swords and shields, a vast amount of precious loose gems, including the largest collections of emeralds, rubies and diamonds in the world. It also includes other items collected by the Shahs of Iran during the 2,500 year existence of the Iranian Kingdom. The Imperial Crown Jewels are still on display in the Iranian Central Bank in Tehran. Tehran International Book Fair (TIBF) is known to the international publishing world as one of the most important publishing events in Asia. 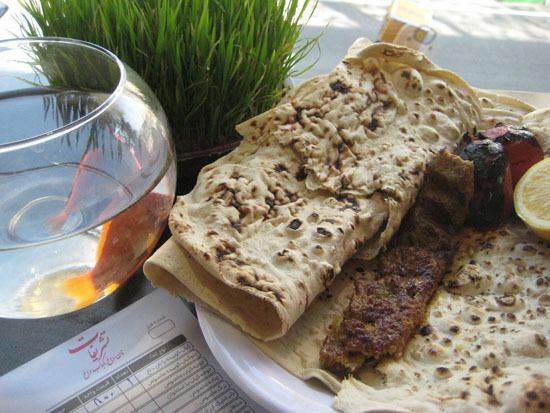 Tehran has many modern and classical restaurants and cafes, serving both traditional Iranian and cosmopolitan cuisine. One of the most popular dishes of the city is the chelow kabab (kabob/kebab is originally a Persian word meaning grilled or roasted meat). Fast food is also popular, especially within the younger generation. Pizza, sandwich and kebab shops make up the majority of food outlets in the city. Food, drinks & restaurants in tehran ??????? ?? ?? ???? ?